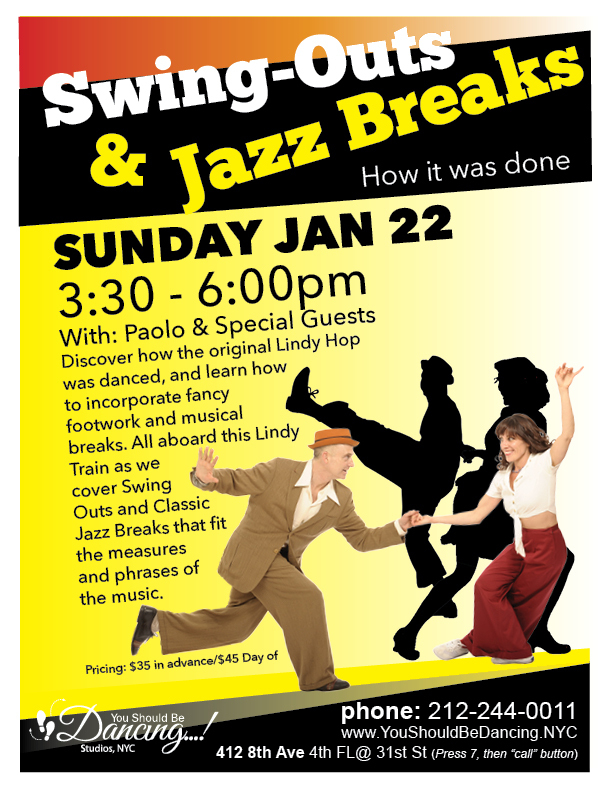 Join Paolo for an afternoon of Swing workshops for all levels. The second section will be for those who want to challenge themselves. 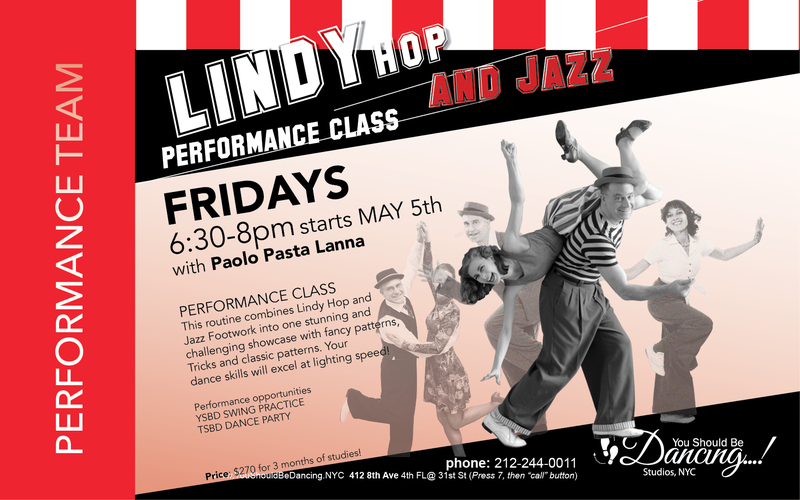 Demystify these elements of the Lindy Hop and bring your dancing up a notch. These components create multiple options for improvisation while building strong vocabulary for your Swing. footwork to fit our music. 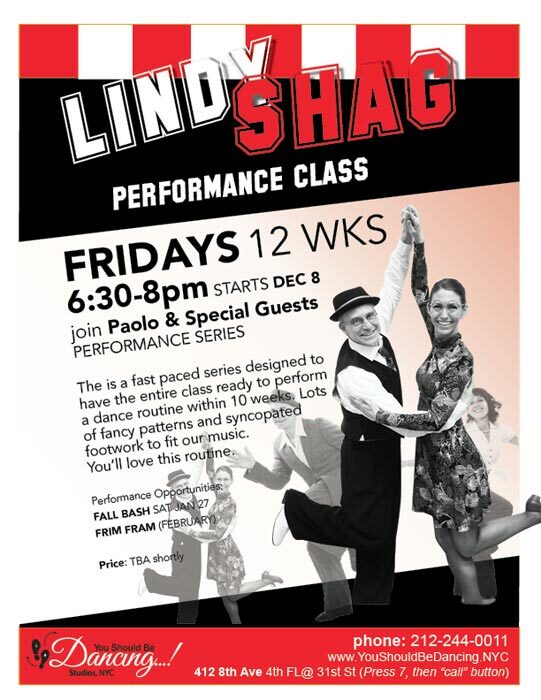 This class introduces you to the style of Swing that was born in Harlem during the late 1920s and 30s. 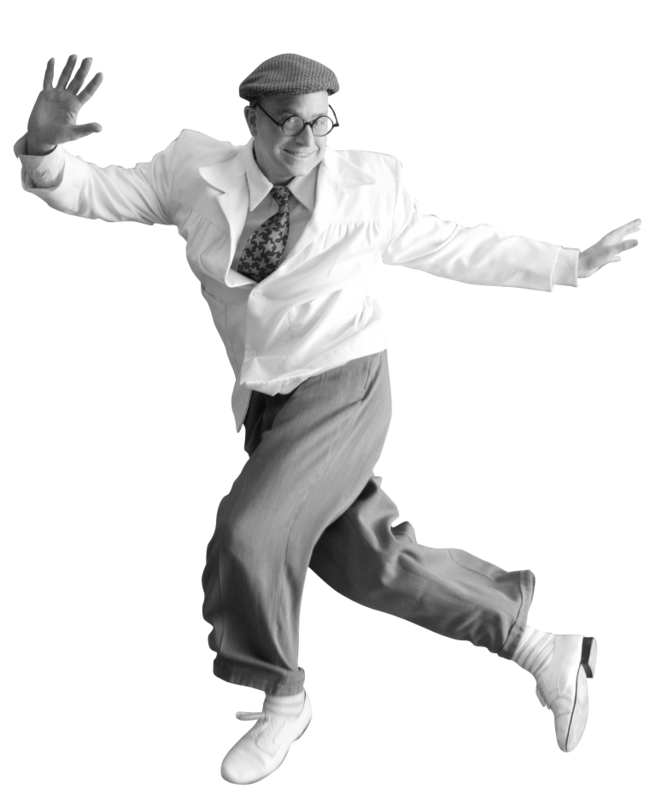 Developed and refined thru decades of social dancing, we will study the 6-count footwork and patterns that are the groundwork for all styles of swingfrom Hollywood and Savoy styles to Boogie Woogie. 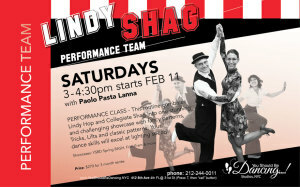 This Class studies the foundation work for the Lindy Hop. 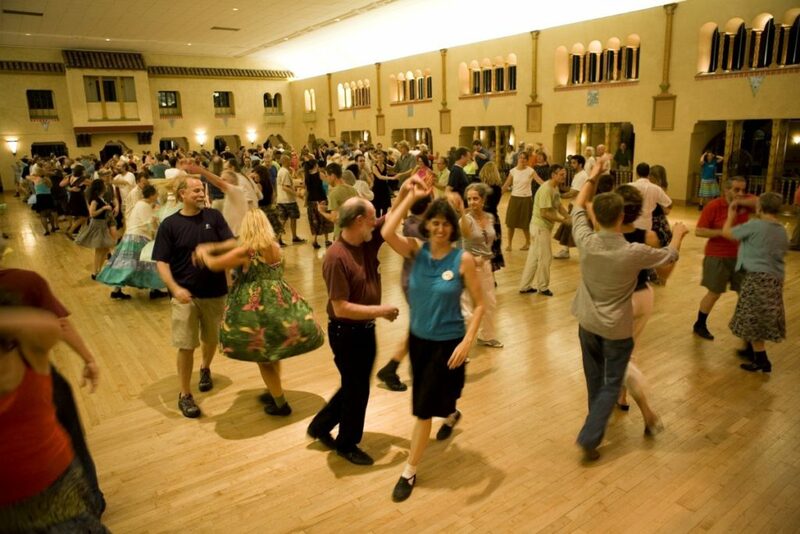 We’ll expand your dance vocabulary and improve lead follow technique and connection. We cover everything from 8-count circles & swing-outs to swivels & syncopations. 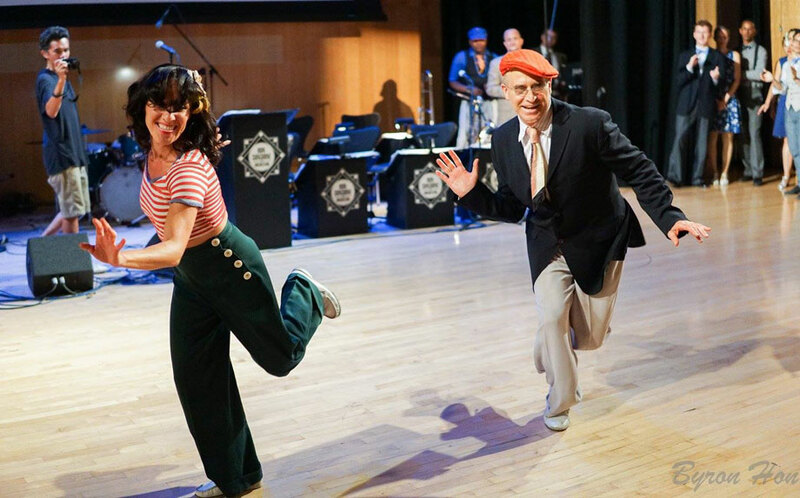 Paolo & Laurentina from the Rhythm Stompers will join The Jive Aces on their holiday themed tour for this concert at Westermann Stage, Concert Hall Adelphi University. If you’re in the area, do come by for a splendid afternoon of fun. 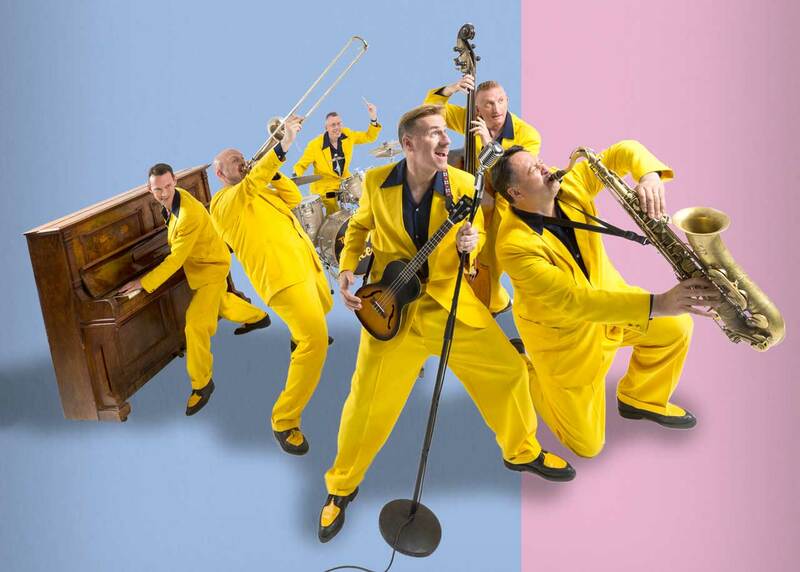 Put a kick into your holiday classics with powerhouse UK jive and swing band the Jive Aces. 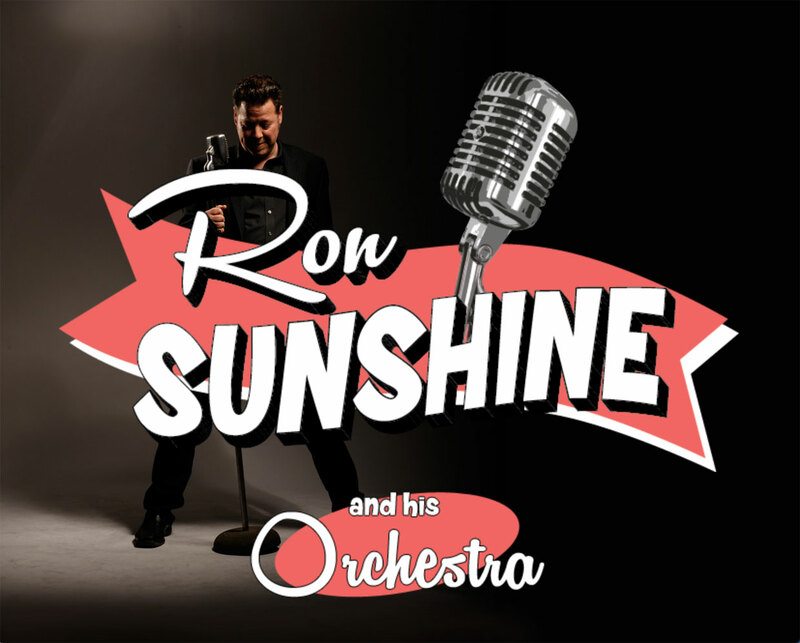 These former Britain’s Got Talent semifinalists are as dapper as they are danceable, driving audiences wild with sizzling sax, trombone and upright bass licks, and a high-energy stage show. Swing’n the Holidays finds this irresistible six-piece putting a fresh spin on yuletide hits from the likes of Louis Prima, Bobby Darin and Dean Martin. 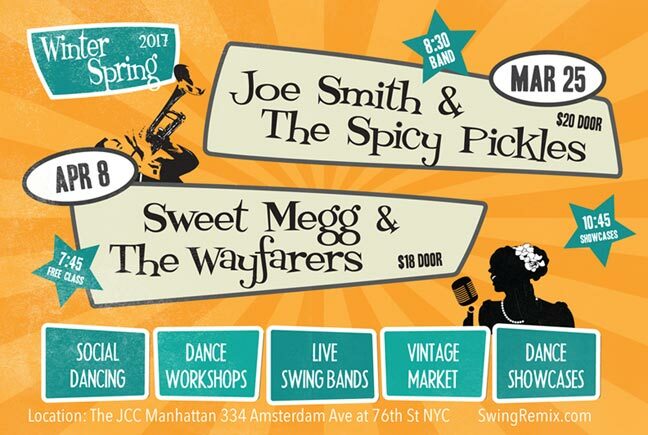 7:30pm - 11:30pm Swing 46 349 W 46th St, New York, 10036 United States Mark Your Calendar for this dance party at New York City’s premier swing supper club SWING 46. On Friday December 8th, Swing 46 will feature The Jive Aces from LONDON ENGLAND, one of the most heralded swing bands in the world today. And members of the Rhythm Stompers may be performing during the breaks so stay tuned! 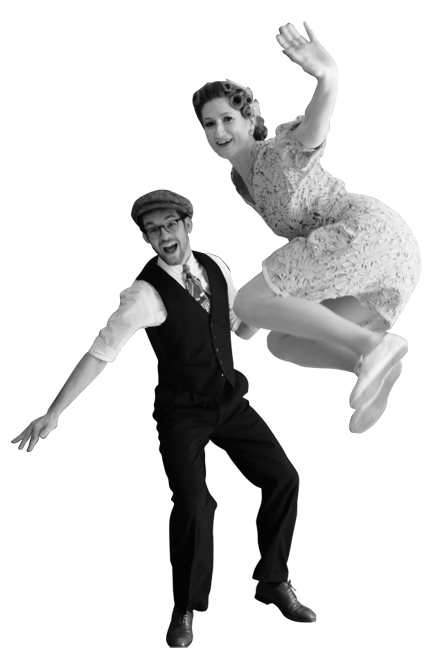 DANCERS: TWO fabulous Dance Couples provided by Jumpin Entertainment will present showcase numbers during the Awards Ceremony. 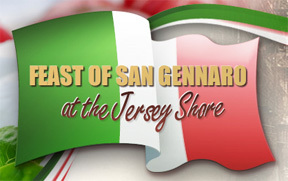 Look out for Paolo, Gaby, Lou & Heather on this one! Join Paolo & Laurentina as they present an afternoon of Swing workshops for all levels. 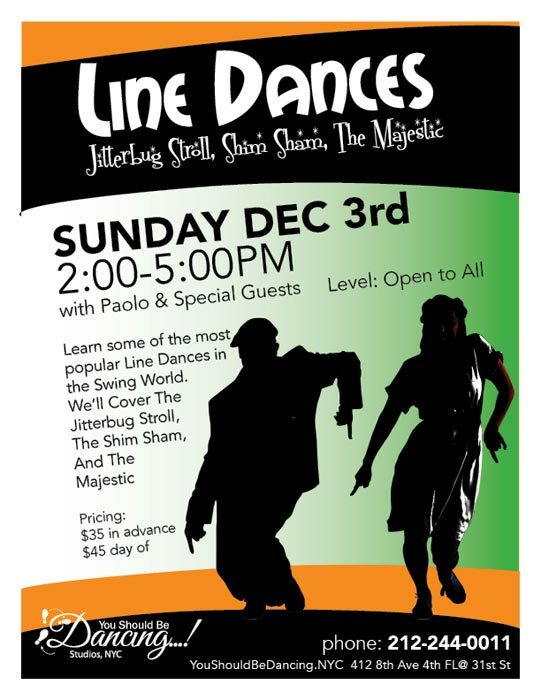 Two dance couples from our team present their favorites showcases at this private function in Berlin, NJ. You Should Be Dancing studio presents their FALL BASH. The event will feature performances by members of The Rhythm Stompers. Thursdays from 7-8pm: Learn to swing dance in no time, come alone or with a partner. 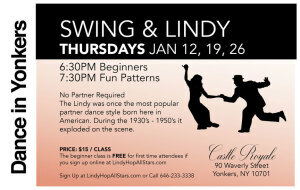 This class introduces you to the style of Swing that was born in Harlem during the late 1920s and 30s. 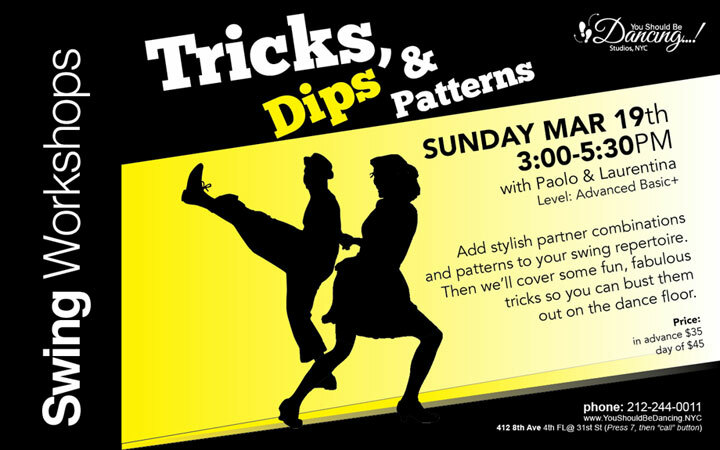 This is a beginners’ workshop in which we will cover partnering (lead-follow techniques), feeling the rhythm and basic footwork. We will also be introduced to standard 6-count patterns perfect for all swing based music. 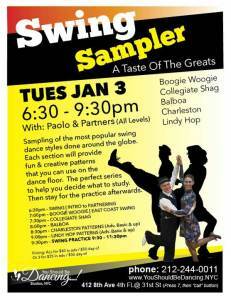 Want to learn to dance as a couple-big event coming up? 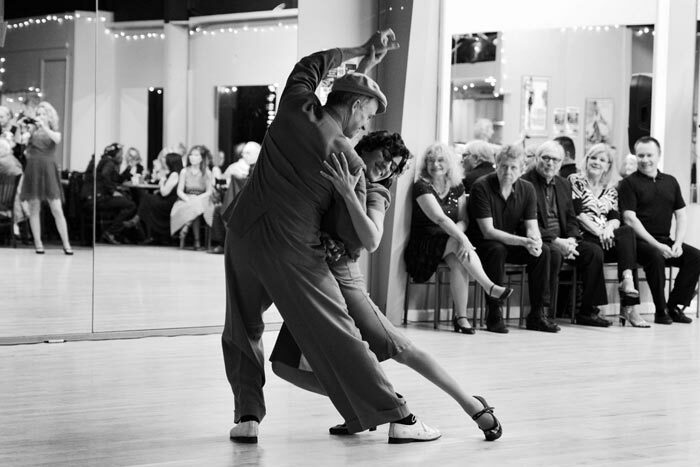 We can help make you look great on the dance floor! This class will add additional fancy material from shared footwork patterns to dips and wraps. It’s especially designed for couples who want to practice together to perfect material. With talented dance instructors you will work in a comfortable, warm environment that makes you both feel at ease. 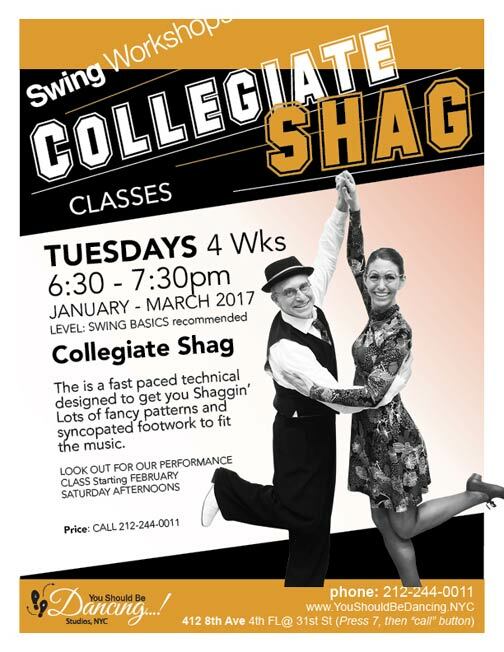 Open to all levels, this class introduces you to the basics of Swing and partnering. Excellent for beginners and those who wish to brush up on their fundamentals. 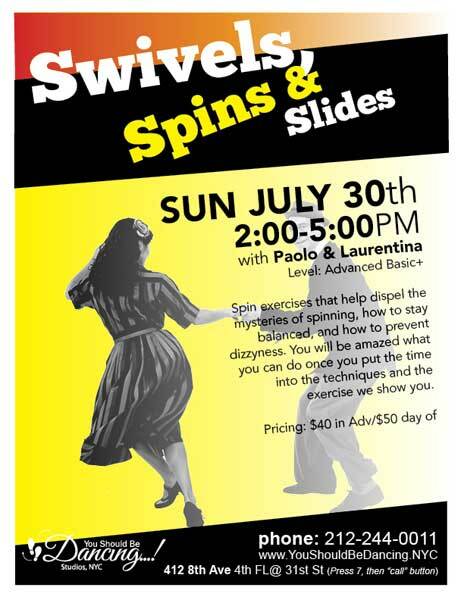 Calling advanced dancers! Do you want to perfect the moves that you already know? Want to make everything feel effortless yet dynamic? Are you looking to add some complexity to your social dancing? 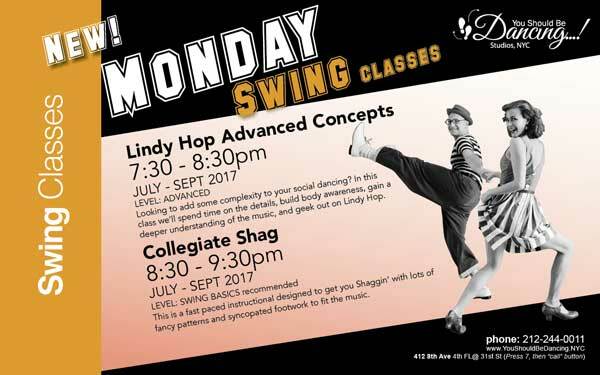 In this class we’ll spend time on the details, build body awareness, gain a deeper understanding of the music, and geek out on Lindy Hop. A Fastpaces instructional designed to get your Shaggin' with lots of patterns and footwork. 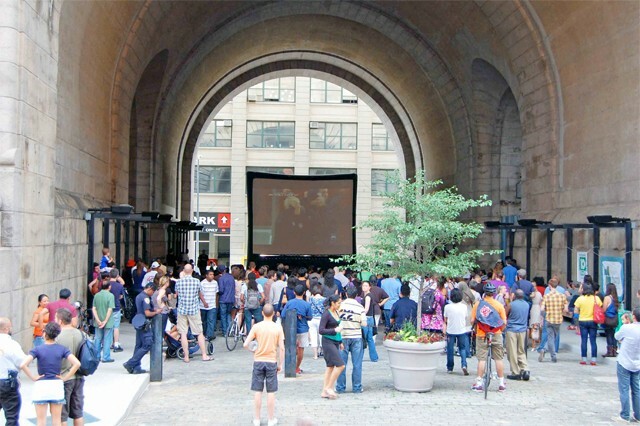 Concert series in DUMBO under the epic Manhattan Bridge Archway in the summer, Featuring LIVE MUSIC. 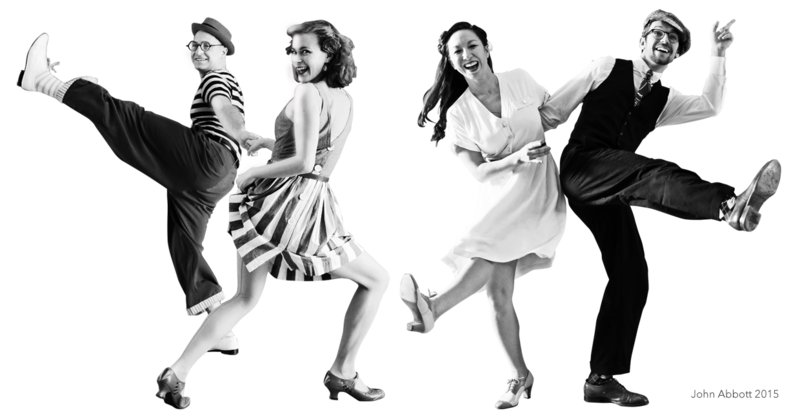 We'll be hosting a 6pm half hour jitterbug class. The is a fast paced technical designed to get you Shaggin’ Lots of fancy patterns and syncopated footwork to fit the music. Spin exercises that help dispel the mysteries of spinning, how to stay balanced, and how to not get dizzy. You will be amazed what you can do once you put the time into the techniques and the exercise we show you. 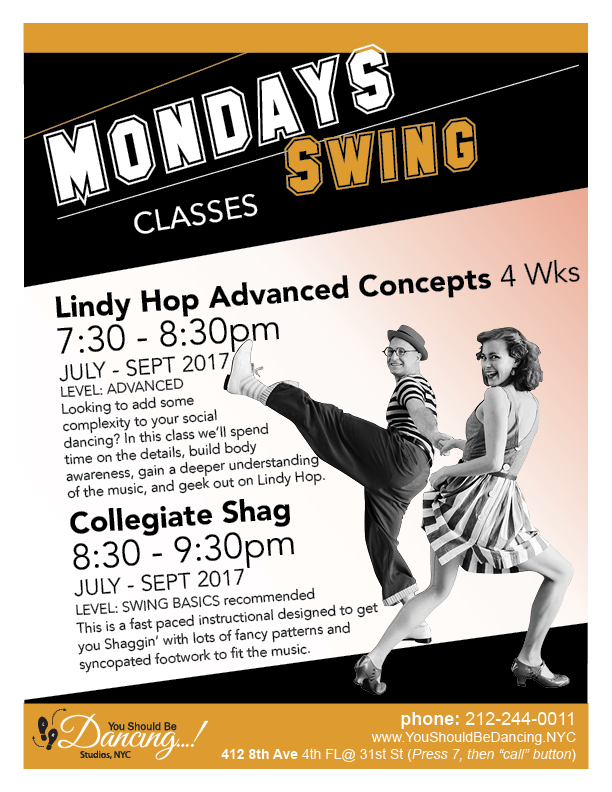 Come out and join us for our beginner-to-intermediate level mini-workshop in Lindy Hop, no partner necessary! You'll learn the basics and foundation, as well as tips to expand your dance vocabulary and improve technique. 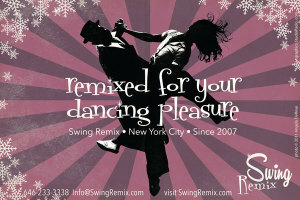 We cover everything from 8-count swing-outs, swivels, Frankie Manning stylings, syncopations, and more! 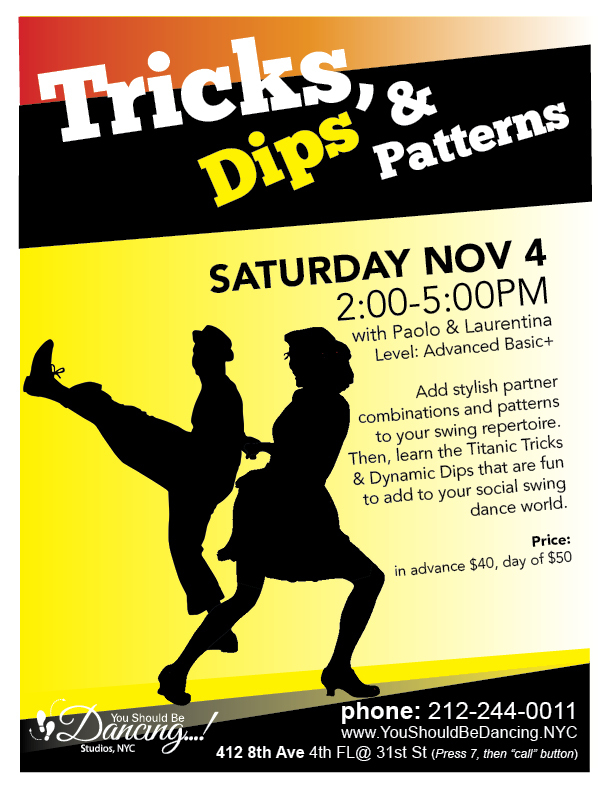 This is a standalone workshop that does not need to be taken in conjunction with any of our other classes. The first hour will cover fundamental rhythms and technique, while the second hour will cover patterns and additional content. Or buy one of our punchcards for $30 per mini-workshop! Attendance at this workshop will grant you free entry to our Open Practice/Social in August! Our wonderful friend Ana Mínguez has arranged these workshops for us while we are at the San Sebastian Jazz Festival (Jazzaldia). Do not miss this opportunity. Take advantage of your visit to jazzaldia and join our workshops! Más información e inscripciones: Tel 653 739 440. Paolo, & Brandon join Roddy and his crew The Canarsie Wobblers for a spectacular dance show at the Omni Resort in New Hampshire. Or watch on CABLE - On Optimum channels 67-70. 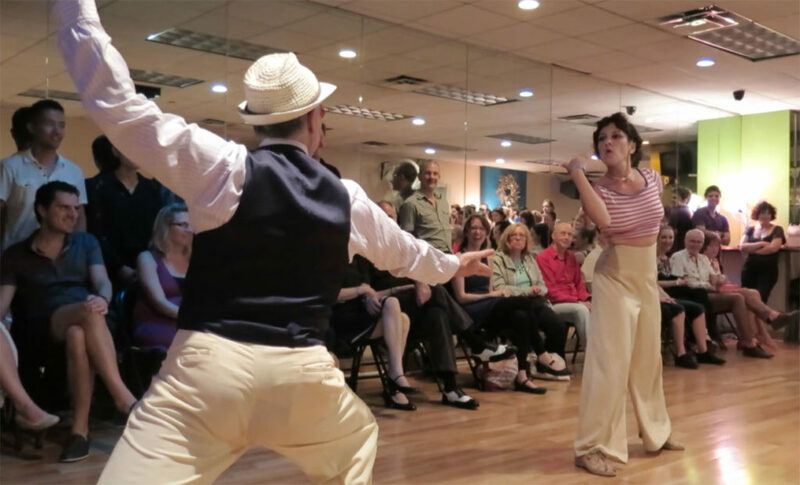 BRIC TV will be featuring us dancing during a short segment on BK LIVE Tuesday June 27th. BRIC TV is Brooklyn, NY’s Emmy-award winning, nonprofit cable channel and digital network. With an audience of tastemakers and a reach of millions, it is the voice of the borough— reflecting the best that it has to offer while sharing it with the world. 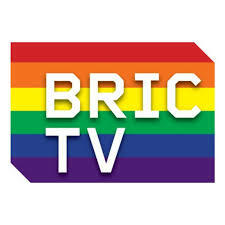 BRIC TV offers original character-driven programs, incredible short documentaries, award-winning local news, investigative journalism, and premiere live music and event coverage. 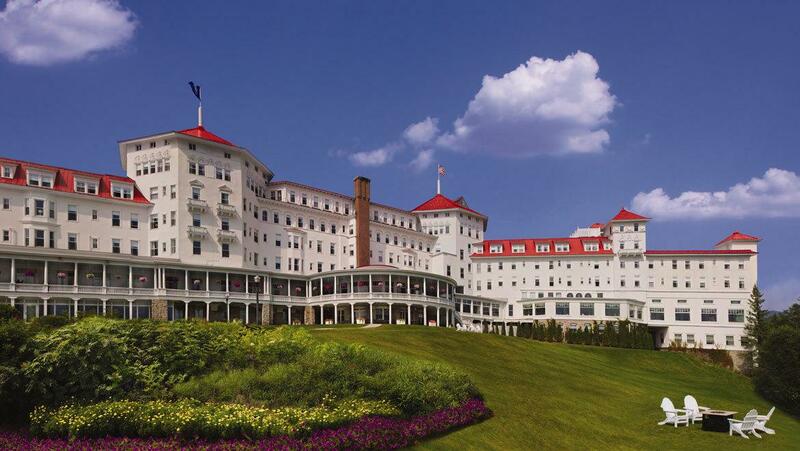 It is the home of trend-setting makers, artists, musicians, and more! ON TUESDAY JUNE 13th THE FLYING CAMELS (NYC’s newest COLLEGIATE SHAG team), led by our very own PAOLO PASTA LANNA will showcase their newest number during the band break! 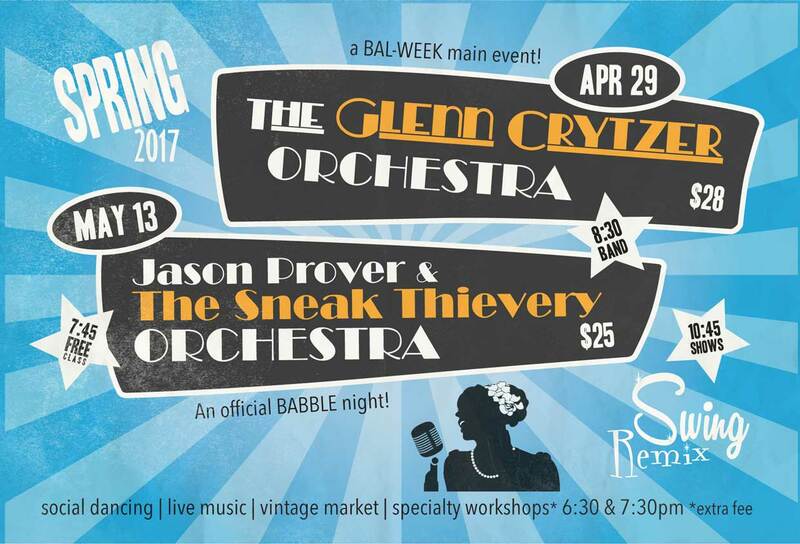 Baby Soda Jazz Band hits at 7:15pm! 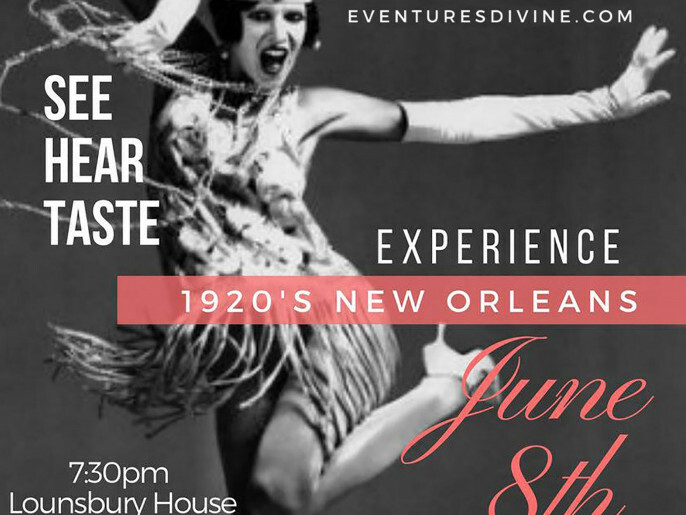 Eventures Presents: A Night In New Orleans "A 1920s Experience"
a curious conjuring of Cajun, Creole, Jazz, Bourbon, Burlesque and Beignets, set the tone for the evening to be packed with the tastes, signs, sounds and experiences inspired by early century New Orleans. 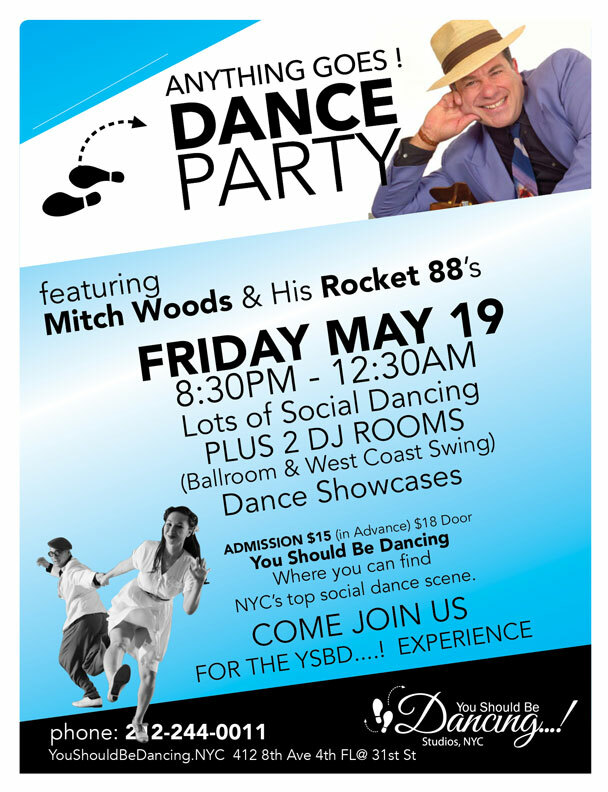 Join Mitch Woods & His Rocket 88's for a fantastic dance party. 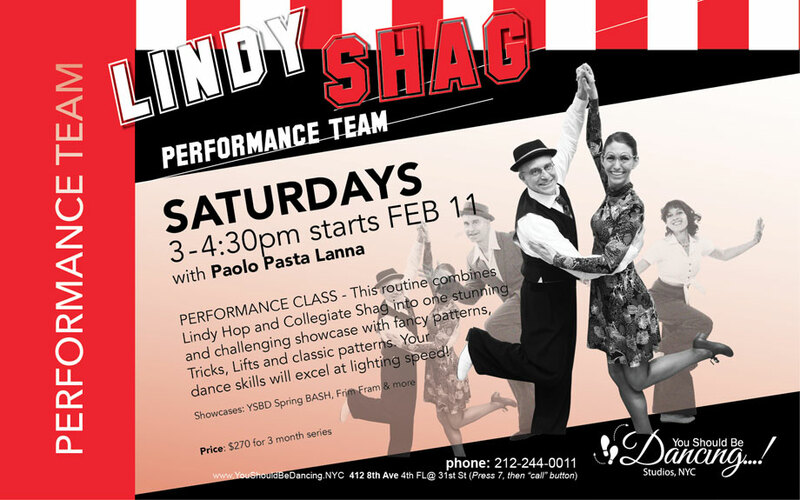 The Lindy Shag performance meets every Saturday 3 - 4:30pm from FEB 11 - end of APRIL, 2017. 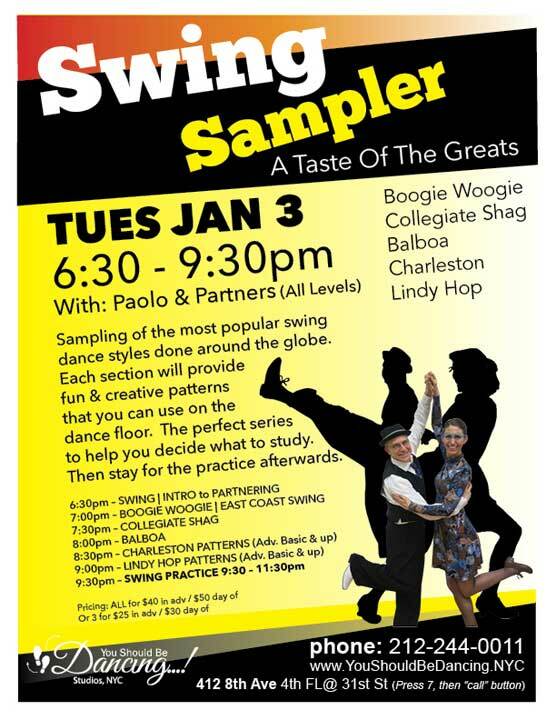 Join Swingadelic for some LIVE MUSIC at The Yard, Rutger's University's newest public space for events and activities. 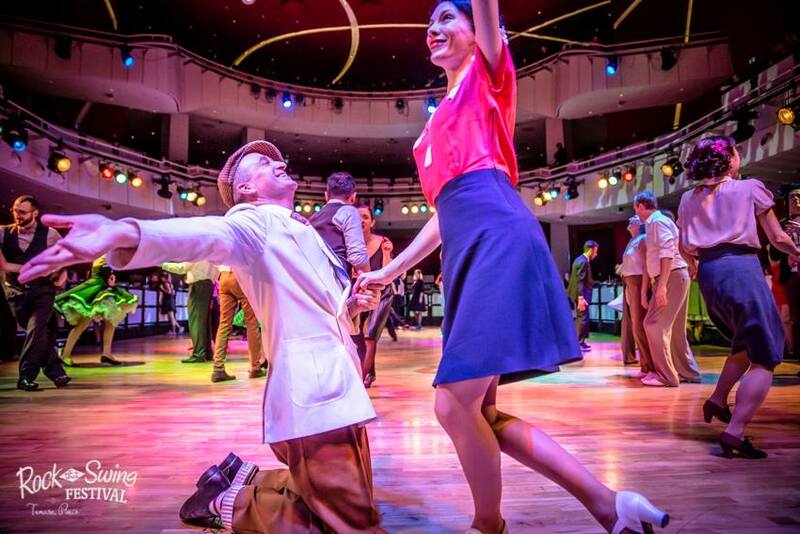 Members of the Rhythm Stompers will be there letting loose on the dance floor! 6:30 – Turning Inside & Out | Swing Workshop (Adv Basics and up) Get a refresher on your shuffles and lead/follow technique. 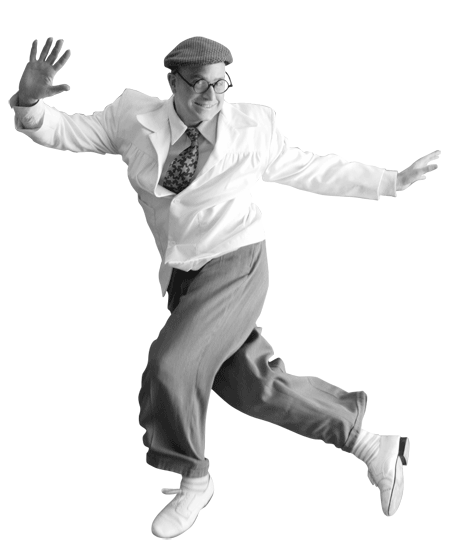 Then we'll work the Swing Step, The Yo Yo, and kick it up a notch! 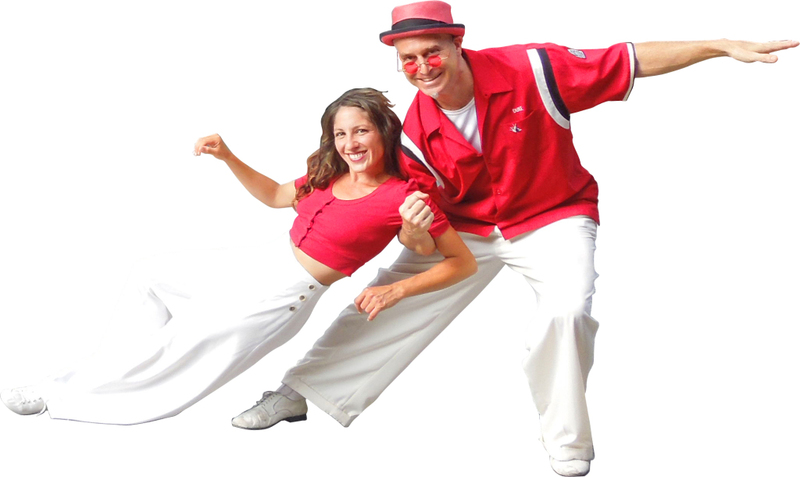 Learn some of Adrienne and Rafal's favorite moves, put them together with some of our favorite songs, and learn how to play with musicality as you dance. 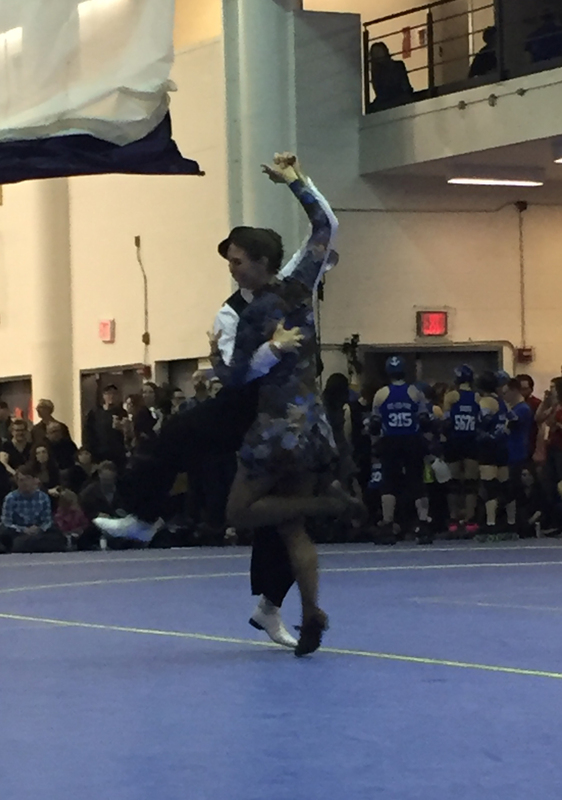 We will teach you a short dance combo that also gives you space to add your own style. 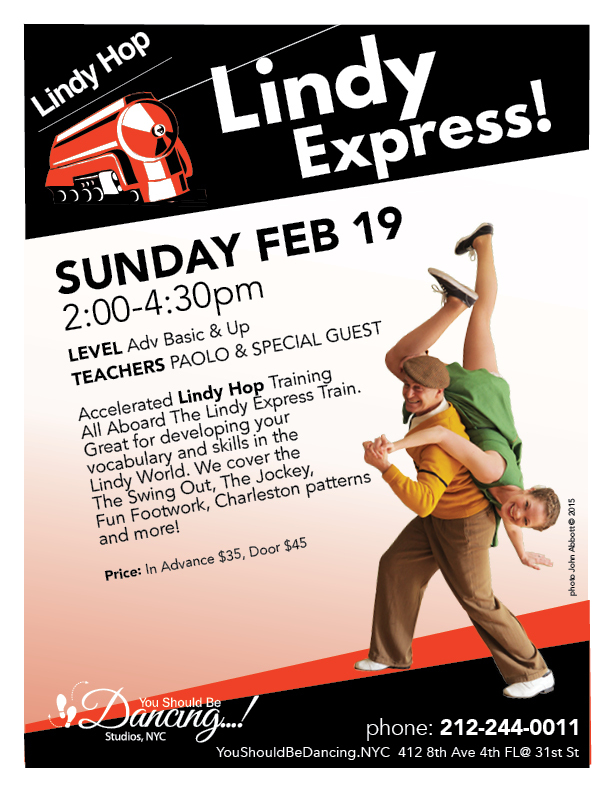 All Aboard the Lindy Train. 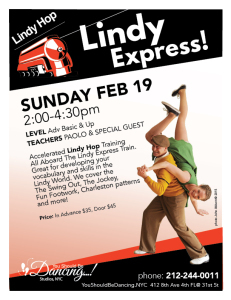 We'll head up the tracks with two great conductors and cover some speedy and rugged material for your Lindy Hop. Hold on tight because this Train is Express! An accelerated learning experience great for the development of your style and vocabulary. 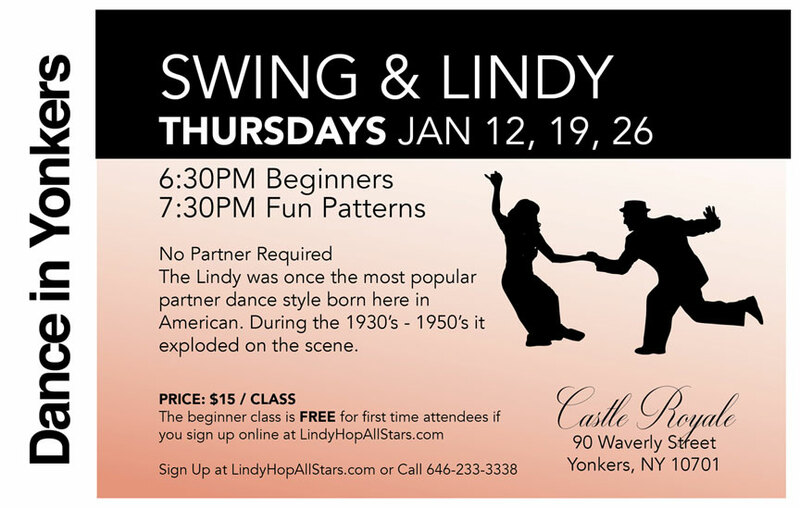 A Special Swing Dance and Lindy Hop series held at the fabulous Ballroom in Yonkers known as the Castle Royale. You will get a confirmation email back that will put you on the Guest List for your first class with us! No Partner needed as we rotate in the classes. Gunhild Carling is a Swedish musical sensation with international acclaim. She's an artist of the old breed, combining extraordinary skills on trumpet and trombone with vaudeville stunts. In her playing, she shows heavy influences from Bix and Louie Armstrong as well as Billie Holiday. 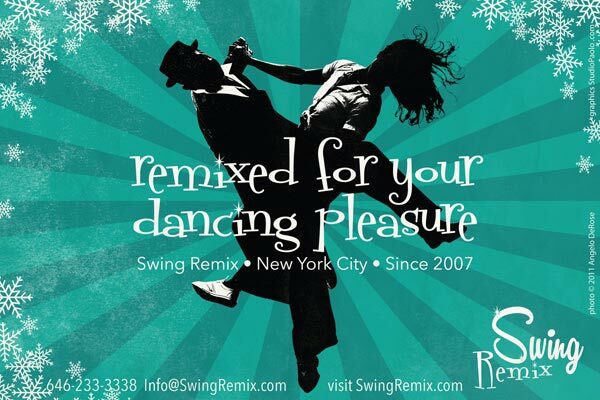 Swing Remix is thrilled to feature Gunhild Carling for the very first time on Saturday January 7th, 2017. She will be backed by the phenominal Swingadelic 10 piece Big Band. 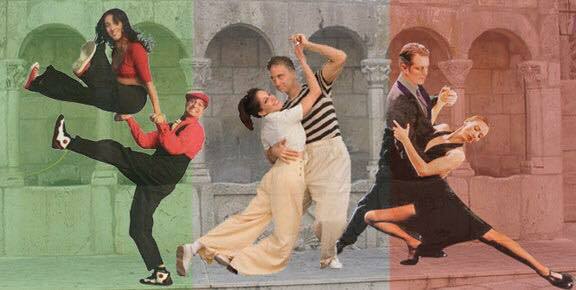 dance styles done around the globe. to help you decide what to study. Then stay for the practice afterwards.